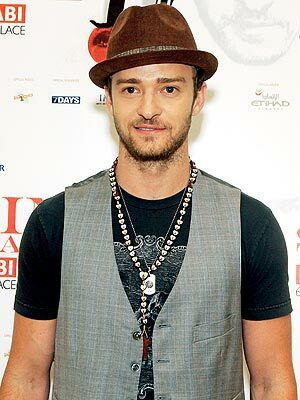 Justin Timberlake is one of pop music’s most recognisable characters, and despite being out of the music industry for about 5 years, his popularity has barely waned. His musical hiatus provided him with the time to focus on his acting career, which proved to even the harshest of critics that he is an extremely talented guy. After admitting to missing music, he has recently made an assault on the charts with his comeback album The 20/20 Experience. The first single released from the album was ‘Suit & Tie’ which proved to be an immediate hit and gained him a performance slot at this year Grammy awards ceremony. 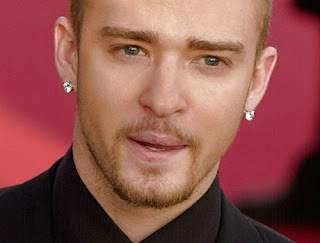 Ever since his N-Sync days Mr Timberlake has been a firm supporter and believer in the importance of accessorising with male jewellery and has tried pretty much every style in the book. Above left showcases a Rosary Bead & Dog Tag combination, with the right hand photo offering a double Diamond Earring look. Both these styles remain a modern look, for both smart or more casual occasions. With JT back in force, why not give his style a try.